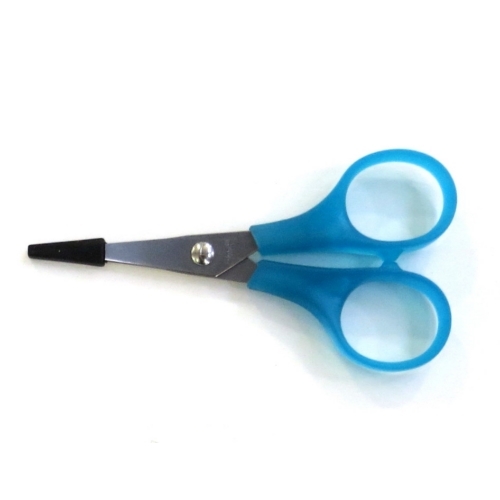 These are the scissors Brother include with their embroidery machines. I have been trying to find these scissors for a couple of years as I couldn't remember where they originally came from. I have been using them for detailed cutting for my cardmaking. Someone recognised that they came with Brother machines so I set about finding them. I was so pleased to find them and at such an amazing price! This was the only place I could find them too! I cannot stress enough how fabulous these scissors are! Even after 6 years of cutting paper they still give an amazingly crisp cut when cutting ribbon. If you haven't got a pair of these in your armoury I suggest you order a pair - I simply couldn't live without mine! I was really pleased with the prompt service from Lords and must stress I have no affiliation and only found them via Google when looking for the scissors. Fabulous little scissors, super sharp and very fine point. Excellent service from Lords Sewing too!